A funky foursome coming out of Los Angeles, the Pharcyde (Imani, Slim Kid, Fat Lip, Booty Brown,) won a wide range of fans with the release of their classic debut, Bizarre Ride II The Pharcyde (1993). 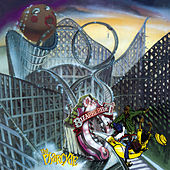 Fuelled by the hits "Passin' Me By," "Ya Mama," and "Otha Fish," the album was a hodgepodge of styles and influences, reflected by the crazy rollercoaster cover art. The group's often humorous rhymes and charismatic deliveries were the antithesis of Gangsta Rap, with vividly colorful and musically diverse production, and an uncanny knack for exceptional party jams. Their 1996 follow-up, Labcabincalifornia, featured a slightly more serious vibe, but continued their legacy of high-quality tracks, maintaining sonic and lyrical accessibility without selling out. They have since taken time to regroup and reorganize, with some members embarking on solo careers. 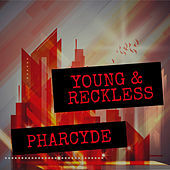 An abbreviated line-up returned in 2000 with Plain Rap, while a greatest hits collection called Cydeways surfaced the following year. Although the full crew only released two LPs, the Pharcyde are without a doubt one of the most important acts of the 1990s; their originality and experimentation has influenced countless artists, who strive to keep hip-hop innovative and fresh.